In our last post that covered interesting and uncommon information on tartar, vitamin K2 was the star nutrient to support healthy teeth and help to decrease the build-up of tartar. 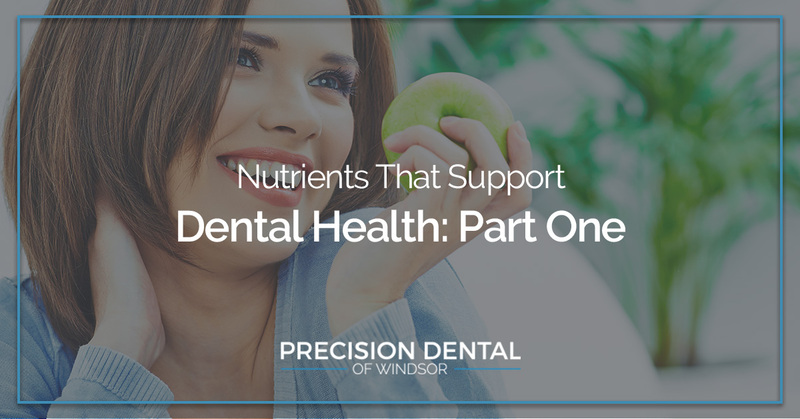 In today’s post, we’ll highlight a couple more nutrients that are beneficial to your pearly whites! Have you had your recent six-month dental cleaning lately? You know it helps with not only your dental health but your overall wellness, right? At Precision Dental of Windsor, we not only provide routine cleanings but oral health screenings, dental implants, and emergency dental care! For a comprehensive dentist who provides compassionate care, schedule your appointment with us today! What is so beautiful and amazing about the human body is the symbiosis that exists — while K2 supports bone health, it also supports heart health and dental health (and more). While you may be focusing on how to improve your dental health through different nutrients and food, it may help modulate your immune system and inflammation balance as a result. Below are nutrients that support your teeth, and as a result, overall wellness! Vitamin D – It is well known that your bones need vitamin D, but so do your teeth! Because vitamin D is considered a steroidal hormone, it not only helps to govern your immune system, but it also helps to determine which of your cells become bone-forming cells, immune cells, or blood cells. Insufficient vitamin D levels has been linked to gum disease in adults and cavities in children. So, go out and soak in some sunshine today! Vitamin A – Vitamin A plays a role in osteoclasts breaking down bone, only to help it grow and develop in the process. It also works with vitamin D for further bone health and support. 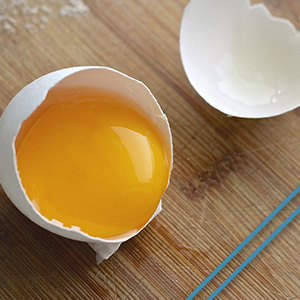 Find vitamin A in egg yolks, cod liver oil, and organ meats. Magnesium – Magnesium is directly related to your dental health because it allows calcium into the cell and then blocks it when it is no longer needed. Emerging evidence is also showing that it may play a role in preventing or slowing gum disease, because as studies are finding, people with higher levels of magnesium have fewer cavities and dental health issues. While basic dental health practices is greatly preventative, sometimes it’s our diets and the nutrients we consume that we need to support our oral health. Talk to your doctor or dentist about teeth supporting nutrients, such as vitamin D, vitamin A, and magnesium. For the best in comprehensive and compassionate patient care, connect with us at Precision Dental of Windsor today.